It's been labeled "Clean Old-Fashioned Hate". It's been called the 'Backyard Brawl'. It's otherwise known as Georgia -vs- Georgia Tech (and no it is not Tech -vs- Georgia; you gotta keep the order correct). After all, Georgia plays football in the toughest conference on the planet. Tech plays football in a basketball conference. 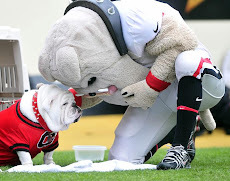 Georgia has a real live mascot. Tech has a 'hive' for a mascot. Georgia's home is a beautiful sprawling campus. Tech's home is a crime invested concrete jungle. The Bulldogs play "Between the Hedges". The Yellow Jackets play between the interstates. The loyal followers of Georgia make up the massive 'Bulldog Nation'. The followers of Georgia Tech don't really have such a distinction. They are more like a "Jacket Neighborhood", I suppose. 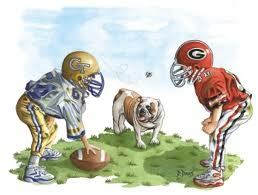 The only similarity between Georgia and Georgia Tech is a genuine hatred for each other. A disdain for losing to the other permeates both programs. 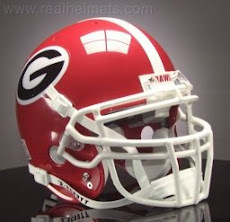 As an avid Bulldog, I hate losing to our long-standing rivals in the Southeastern Conference. But I REALLY hate losing to Yellow Jackets of Georgia Tech. 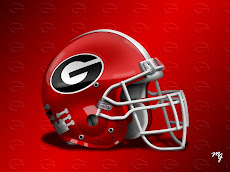 Thank goodness Georgia doesn't lose to Tech very often, and I won't go to bed Friday night thinking that's going to change this year. Wreck Tech!